─ First of all I’d like to talk about the production and management of season 3, so just scroll down if you’re not interested in this ever so important minutiae. The prevailing opinion among fans is, as far as I can tell, that while the production values of this season have been generally satisfactory, it didn’t live up to the previous one. Season 3 had the handicap of overlapping with the production of the movie: a chunk of the staff – most notably Yoshihiko Umakoshi – couldn’t afford to work on both simultaneously, and thus they had to skip the TV series up until this point. It’s clear why people hold the predecessor in such high regard too; Umakoshi’s heavy involvement as chief animation director in season 2’s first half, combined with its initially great production schedule, resulted in a fairly polished product. At the same time, however, let’s not forget that the last third of the series was unfortunately troubled with staff shortage and scheduling issues that forced the remaining staff to spread themselves too thin. The circumstances weren’t ideal either, even if as fans its tremendous highlights and early rock-solid consistency can blind us. 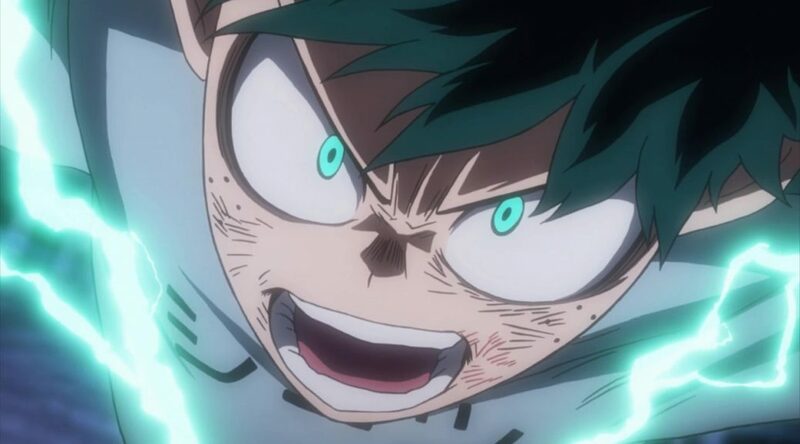 ─ Keeping that in mind, I’d argue that season 3 was overall managed better than its predecessor – despite the compromises that were made, but also because of them to some degree. The staff established a stable rotation of four teams (with a fifth one joining during the second cour) which were occasionally shuffled to meet the needs of the story, and they followed this plan throughout the whole season without outsourcing a single episode to another company; for comparison, season 1 had two outsourced episodes out of 13, and season 2 ended up with 5/25. By sticking to this rigorous plan the schedule never collapsed, allowing the show to maintain a relatively stable quality with peaks still happening when they were needed. A more conservative effort perhaps, but a well-managed one! The greatest payoff of this clever planning was of course this episode, which qualitatively surpassed the climax of season 2 with ease as far as I’m concerned. It’s quite rare to come across well-planned 2 cours anime these days, especially in cases where the studio faces restrictions like the overlapping productions they had to juggle here. I understand the reaction of the fandom, but all things considered I feel like the results this team achieved are nearly miraculous and an encouraging prospect for the future. 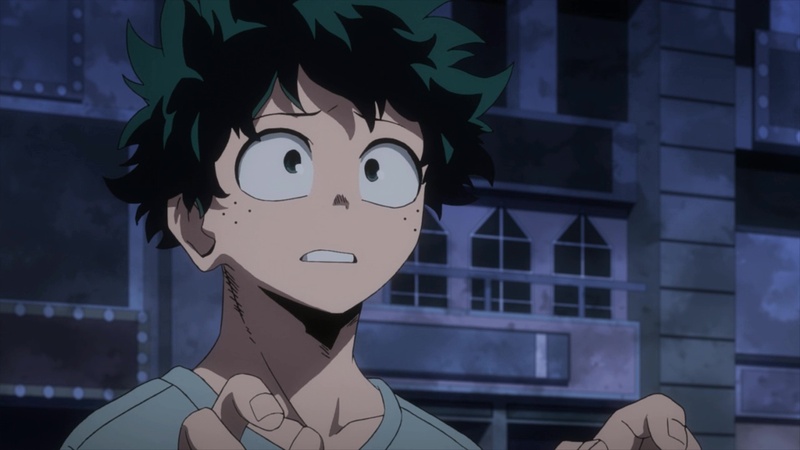 ─ With that out of the way, let’s talk about episode 61. A thrilling, emotional, straightforward yet very intense one, in no small part because of the charisma of the drawings themselves. That’s no surprise either, as there are very few animation directors as idiosyncratic and meticulous as Yoshihiko Umakoshi in the Japanese animation industry. And so, despite the tremendous effort the rest of the team had made this season to compensate for his absence, his return this time made a difference. 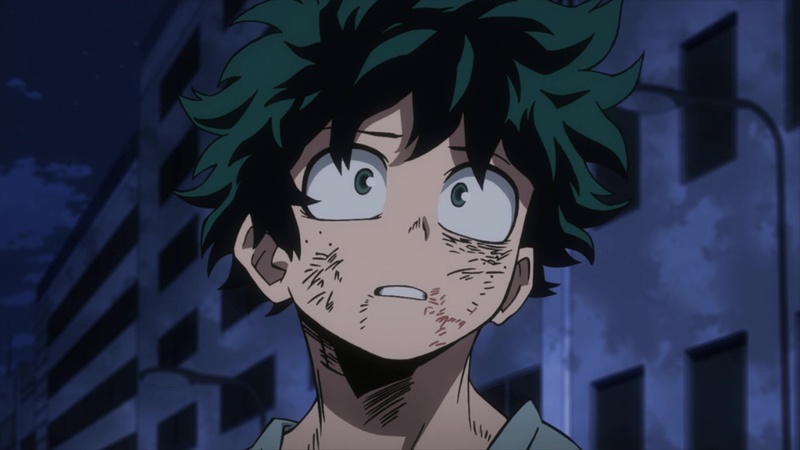 Umakoshi’s work in this episode felt particularly fastidious even by his standards; my guess is that he likely doesn’t have to worry about other episodes further down the line, and thus could completely devote himself to this one. 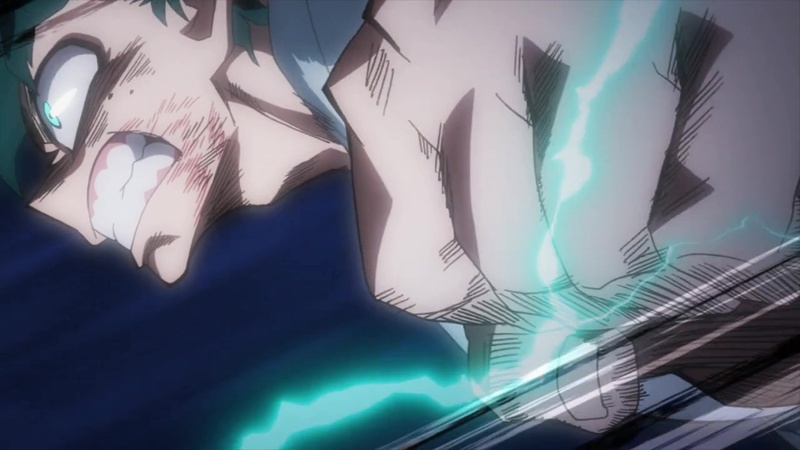 He directly supervised most of episode 61 and also slightly corrected the work of the other two animation directors, so his presence could be felt throughout all the runtime. I simply can’t get enough of his sketchy drawings, which not only bring personality to the still shots but also elevate the animated action sequences with their profound roughness. ─ While the return of the production’s ace is worth celebrating, it’s not as if other regular animators disappeared! 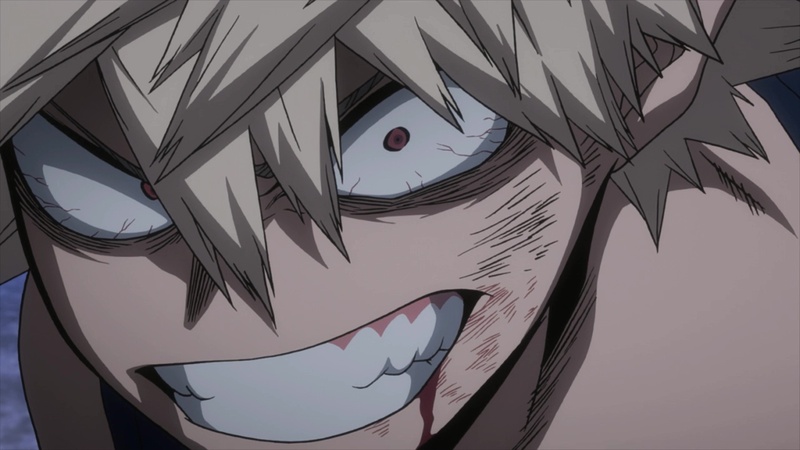 One of the show’s arguably biggest animation discoveries Minami Sakura supervised the animation for the beginning of the episode, ending with Bakugo’s emotional monologue which she key animated herself with palpable anger and frustration. Sakura joined the team during season 2 and, ever since she got promoted to animation director on episode 28, she’s been impressing me with her thorough corrections that carry over Umakoshi’s spirit very effectively. The big following she gained on Twitter speaks volumes of her quality as an illustrator, but this episode revealed she can turn those illustrations into impressive, emotionally-loaded motion as well. I truly believe she’s an immense talent with the potential to become a respected character designer in the future, so I can’t wait to witness that moment. 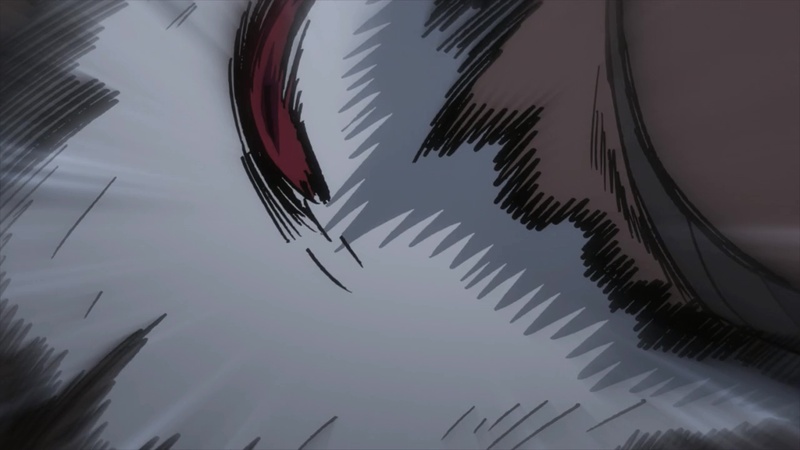 ─ Now as much as passionate sequences like those Sakura supervised are the true heart of the episode, we all know that what tends to receive the loudest public acclaim are the action and effects highlights. 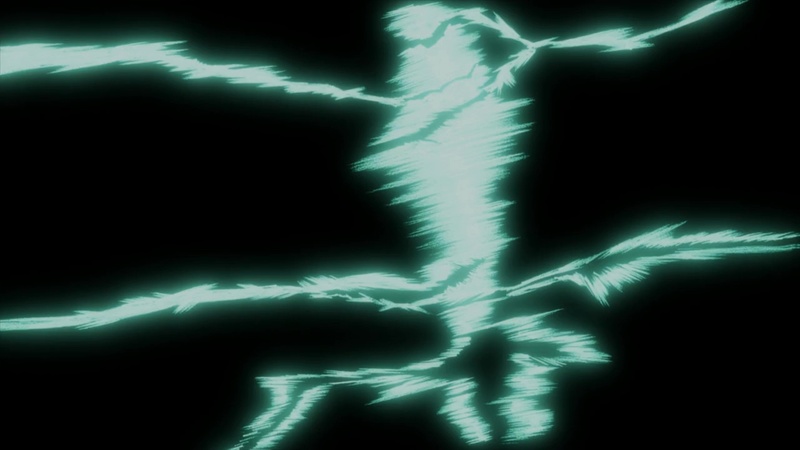 The first notable example of such comes by the hand of Yuki Sato; exciting high-speed fighting, which isn’t only impressive from a technical artistic standpoint but also features interesting choreography that storyboard artist Shinji Sato successfully expanded from its manga counterpart. I bring this up in contrast to another exceptional scene where the key animator took the exact opposite approach: I’m talking about none other than the worldwide sakuga icon Yutaka Nakamura, of course. Once again his skill is beyond question, but it’s his ability to conceptualize these ludicrous sequences where he unashamedly does his own thing that sets him apart. 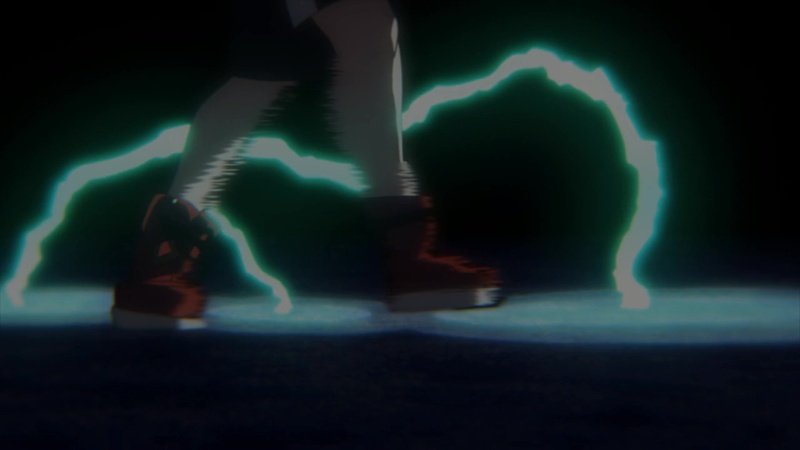 I mean, who else can come up with an action scene where the protagonist does a triple axel, turns into a smeary impact frame and then attempts to kick his opponent’s face, missing by a couple of centimeters in a slow-motion shot – all of that happening in a mysterious dark space which exists only for Nakamura to have fun with shadows and highlights. However you feel about his style, there’s a reason he continues to be a massive source of influence for younger animators. 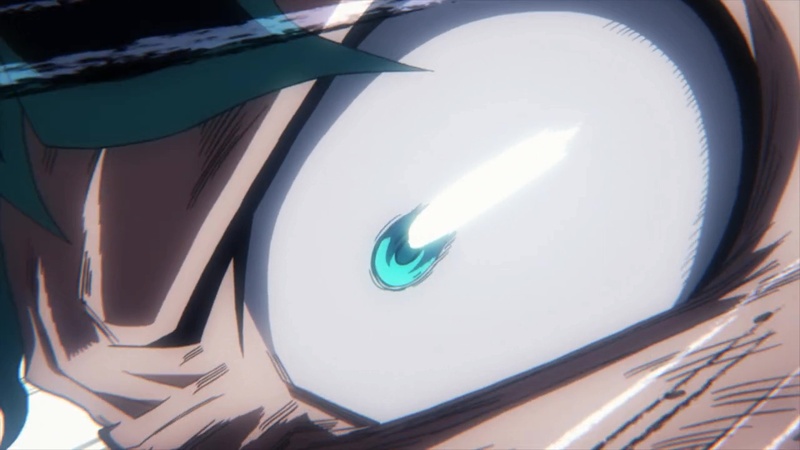 ─ Though animators like Nakamura can overshadow their peers, it’d be a shame if we ignored all the other extraordinary cuts sprinkled throughout the episode. 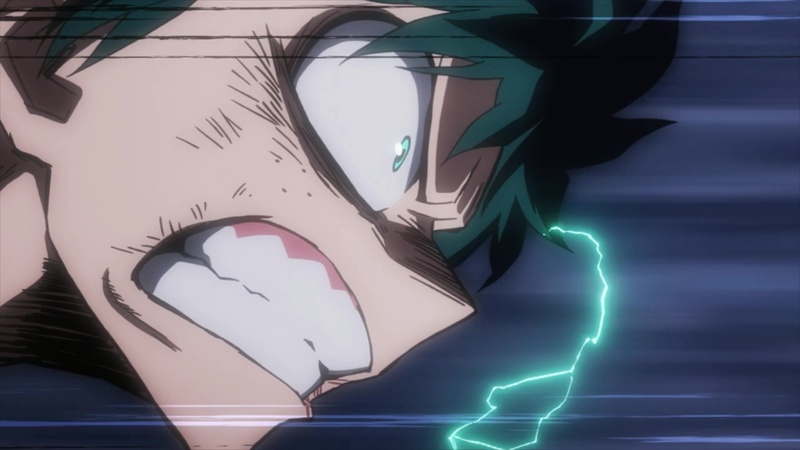 For example, Deku’s eye-catching, fierce punch in his attempt to finish this dispute. This was animated by Sakiko Uda, who’d already handled another key scene in a very similar style in episode 42. Her tendency to draw using a high line count is perfect for such intense moments, and this time it was further amplified by the overwhelming aura of Umakoshi’s corrections. 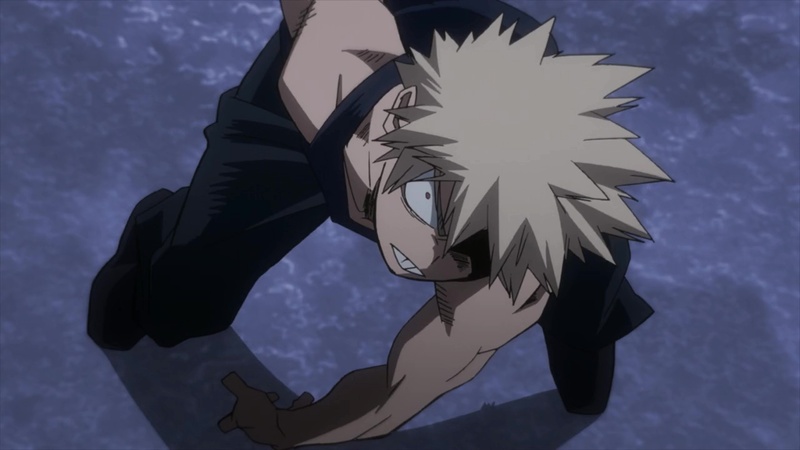 But if there’s one moment I simply must bring attention to, that’s the explosion following Bakugo’s counterattack: drawn by the perspective master Norimitsu Suzuki, who’s been working uncredited for a decade and yet keeps getting caught by fans since he has such an identifiable, essentially unmatched approach to animation. 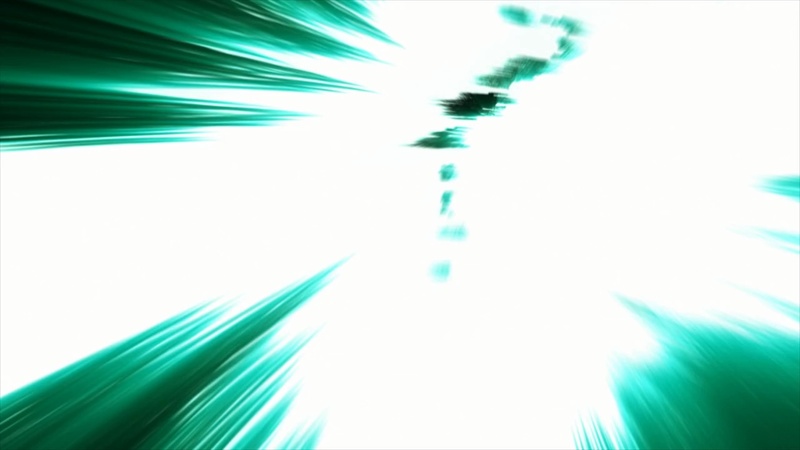 To get an idea of what he can do with blast effects in particular, Kevin has compiled a set of explosions animated by him – they all have his distinct flair, and yet never feel the same. 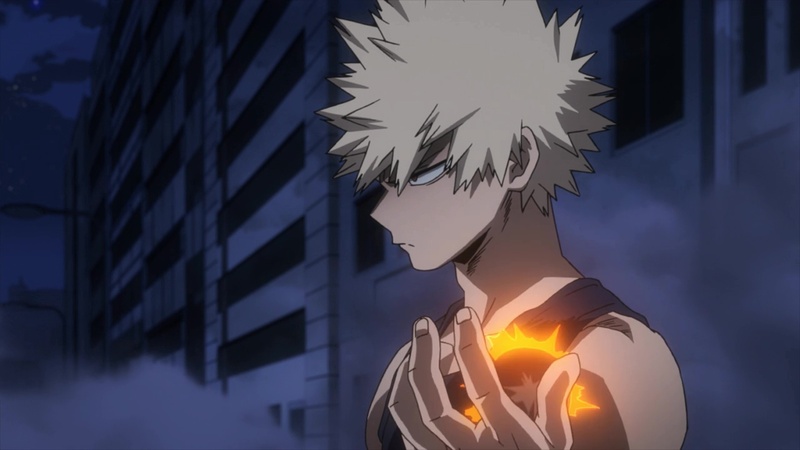 What particularly impressed me about his work this time was the careful portrayal of shockwaves breaking the surrounding windows earlier in the episode, and the blast wind sucking smoke back towards the center of Bakugo’s explosion. He’s been described by his coworkers as a walking encyclopedia, so it only feels natural for him to possess such precise understanding of explosion physics… and the skill to make those complex concepts into actual animation, of course! I could never praise him enough. Great write-up. 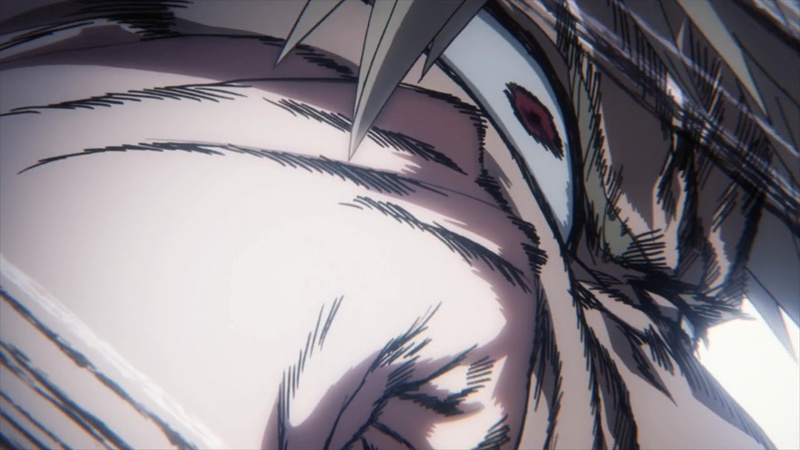 This episode was a lot to take in, but I was so happy that Umakoshi was able to return and take control of an episode for season 3’s last emotional high point. I can’t wait for season 4 already! People on Reddit and other sites said the movie took all the budget from season 3. Budget doesn’t really mean that much. Production schedules are way more important. Any possible info on the staff list for the movie (specifically whether Yutabon worked on it at all)? Of course, Nakamura worked on it. 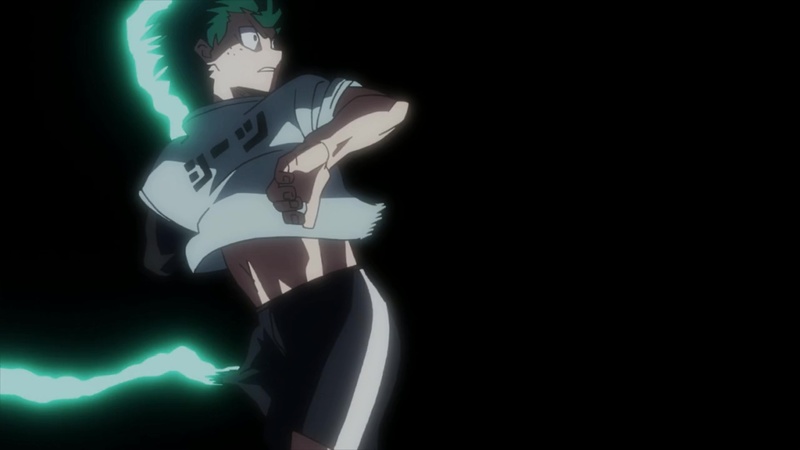 What about the episode where Todoroki and the wind guy combined their powers to create a fire tornado to trap the teacher? Who animated that part? 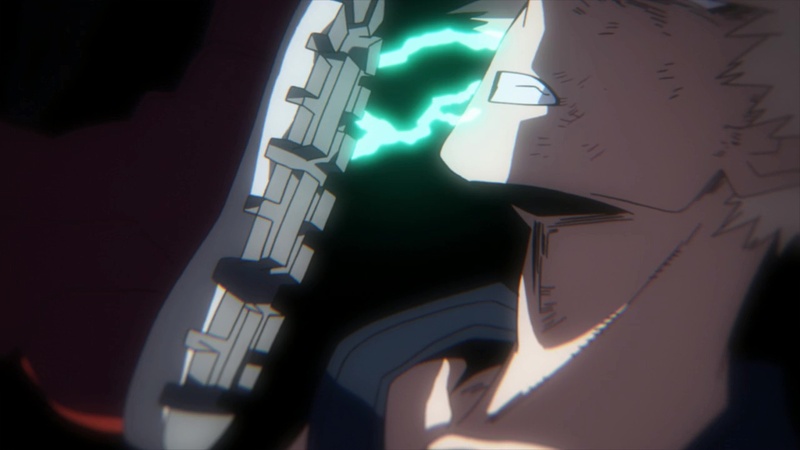 The sketchy closeups of Todoroki when he was charging up while on the floor were so amazingly drawn! You guys are awesome, btw! I always learn something new everytime I read your articles here. Keep it up!